Paving bricks are excellent materials for outdoor improvement projects since they can easily make residential and commercial outdoor spaces more attractive. These masonry materials are also effective in creating more functional spaces in your property. However, you can only achieve all these if you choose the right paver design, color, texture or pattern. You need to carefully choose the paving brick pattern to achieve your desired style or theme. 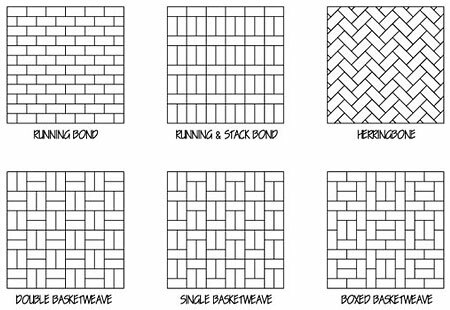 The most popular paving brick patterns that you may adopt for your project include running bond, herringbone, running and stack bond, single basket weave, double basket weave, and square basket weave. The use of circular pattern is also a popular option for courtyards and large open spaces.